The biography of an iconic South Australian war veteran and businessman of the 20th Century. 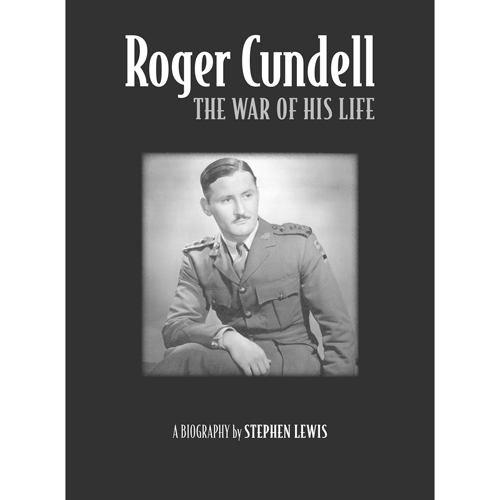 Born in England in 1918, Roger Cundell became a prominent figure in both military and commercial enterprises in his adopted home town of Adelaide. Enlisting as a private in the Australian Army during 1939, he rose to the rank of captain during his six years of military service that included stints in the UK, at Tobruk where he was to become one of the Rats, in Syria, Palestine, Australia and finally the Pacific region. His wartime adventures were both extensive and typical of his outlook on life which was not without an adventurous and humorous bent. With the support of his family and business partners he built an enviable reputation for his company Tubebilt which pioneered many advances in cattle and sheep handling facilities Australia wide. Roger was an ardent supporter of the Legacy organisation into which he offered much of his free time and energy. Similarly, his tireless contribution to the 2/10th Battalion Association no doubt helped contribute to its longevity. Shortly prior to his 91st birthday in 2009, Roger was honoured with an Order of Australia Medal for his extensive community involvement. Decidely one of a kind, Roger kept all around him on their toes at all times and will be remembered as a unique member of the Adelaide community.